PANDORA Lunar Light Stud Earrings. The clear and crisp light of the sky allows the moon to wake and inspire you. 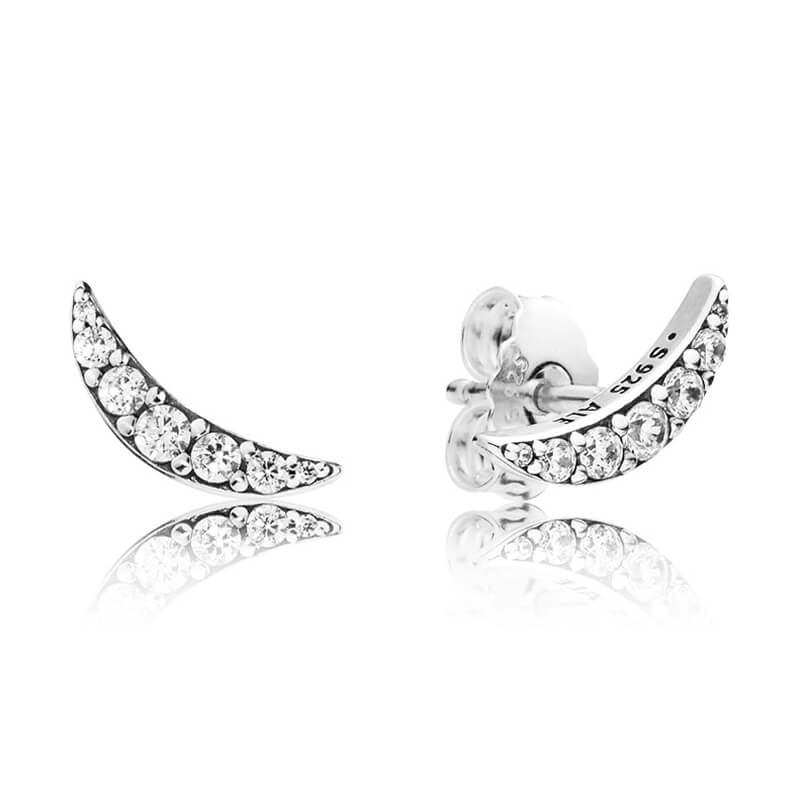 Iridescent crescent moon earrings with dazzling cubic zirconia that mirror the line of the earlobes beautifully.